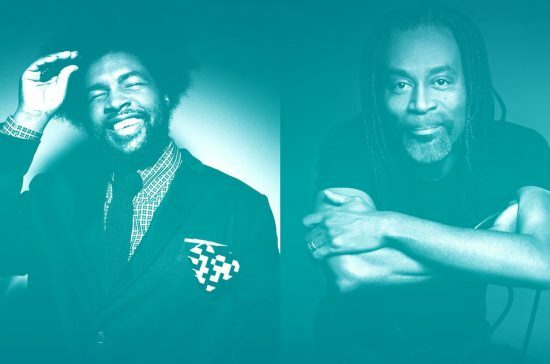 Vocal improviser Bobby McFerrin and Questlove of the Roots will perform their first official collaborative concert June 13 at New York’s Town Hall as part of the Blue Note Jazz Festival. Titling it “Mumbo Jumbo: Bobby McFerrin & Questlove In Musical Dialogue,” the show will begin at 8:30 p.m. The performance solely features McFerrin and Questlove. Tickets are currently available for purchase via ticketmaster.com and through The Town Hall box office (212-840-2824). For more information on the Blue Note Jazz Festival, please visit: Blue Note Jazz Festival.